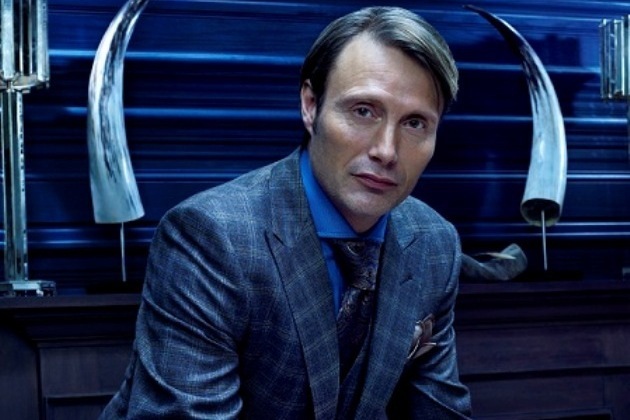 We’re going to admit it, we were highly skeptical about NBC’s crime drama Hannibal before it debuted. Think about it — a network television series about the most famous mad man in fiction and cinema … who just happens to eat people. In this writer’s mind there was no way Hannibal wasn’t going to be another expensive NBC flop in the same vein as Crusoe, The Cape, The Bionic Woman and countless others. Yet, color me not only wrong, but shocked. Hannibal turned out to be a vibrantly visceral, unapologetically brutal and nearly perfectly executed hour of television. And while the show was renewed for a second season (to air next winter/spring) it was criminally under-watched. So we’re going to give you five reasons why you have to be watching this series before it returns to network TV in 2014. 1. Will Graham is the Most Tragic Character on Television Today: That was a direct quote from Pop-Break columnist Marla Pachter … and she’s 100% correct. Who knew that Hugh Dancy, known mostly as Mr. Claire Danes, would deliver a tour de force performance. He radically changes the perception of Will Graham (a role made famous by William Peterson and also assumed by Edward Norton) from just another smart FBI agent to a man cursed with the “gift” of empathy. His Will Graham is able to feel the motives and emotions of killers and actually recreate their murders by placing himself in the crime, usually as the killer. Yeah, no wonder he’s so messed up. And with the way Mikkelsen portrays Hannibal, in a subtle and quiet manner, Graham’s hyper-fragile and emotionally charged Graham is the perfect complement to the title character. Throughout the season we watch Will delve further and further into the mouth of madness — crazy hallucinations, sleepwalking, blackouts and eventually a complete breakdown. Every episode we watch Graham break down, we just feel more and more sad for him yet at the same time an air of suspicion surrounds him — despite his ails, is he actually a killer? 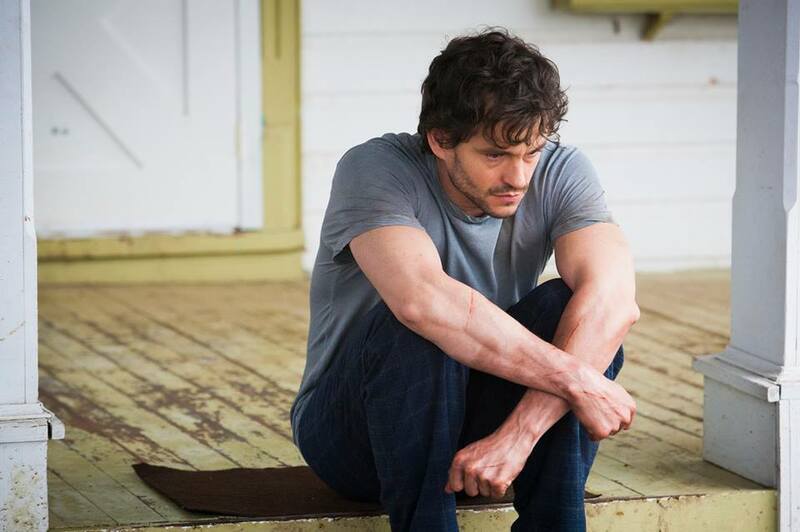 It’s so intense and harrowing to watch — Will Graham truly is a tragic character of Shakespearean proportions. We’ll pass on spoiling the season for you, so all we’ll say is that with the way Will’s character ends the first season, one has to wonder he’s ever going to get himself out of the predicament he’s in. 2. Mads Mikelesen as Hannibal: Anthony Hopkins will forever be known as the definitive Hannibal Lechter. Once you accept that fact, you can easily embrace the unique slant the brilliant character actor, Mads Mikelesen, gives the famed cannibal. He portrays Lechter as an unflappable, almost impossibly cool character — and that makes him even more menacing. Hopkins’ Lechter was more dramatic and over-the-top, but Mads’ subdued performance is just as frightening. He’s a stone cold killer who shows no remorse, but also his silence speaks volumes of Lechter’s intellect. Let’s not forget that Hannibal Lechter is an absolute genius — there’s a reason Clarice Starling is sent to pick his brain about Buffalo Bill in Silence of the Lambs. Here Lechter uses his superior intellect to manipulate the FBI to divert all their attention away from his murderous actions by having them believe other legit serial killers are doing it. The way he does it is so convincing that even you, the audience who knows the truth, actually believe him. Also, the love he has for Will Graham as a friend, is an absolutely fascinating storyline — especially since, towards the end of the season, he’s convincing everyone Will is responsible for his murders. The success of Hannibal, the series, was laid squarely on the shoulders of Mikkelesen. The role of Lechter is one that could’ve been overacted beyond belief, especially by a lesser actor. Mikkelsen’s performance is the picture of restraint, one that adds an air of suspense and horror to the series, as you never know when the ice cold doctor will snap into a cannibalistic rage. 3. A Mind-Blowing Supporting Cast: It says something when Laurence Fishburne is the third best actor in your series. As Jack Crawford (played previously and famously by Scott Glenn as well as Harvey Keitel), Fishburne is another cerebral yet explosive character. 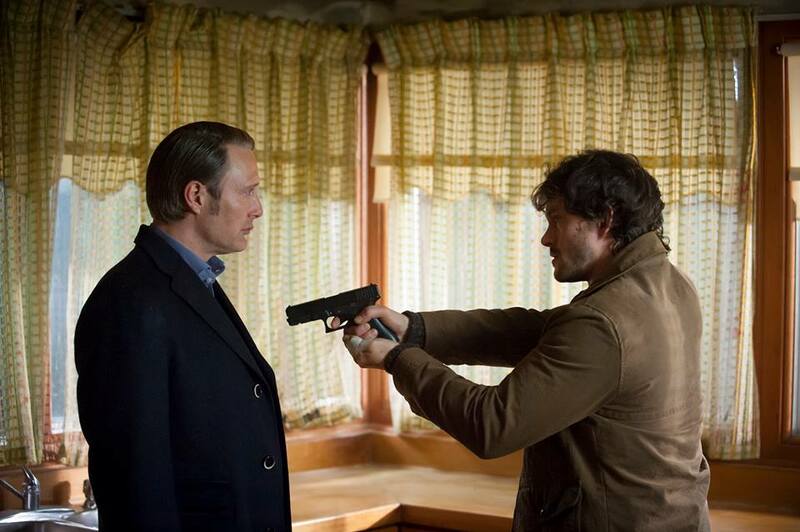 He, like Hannibal, has a strong love for Will but is also using him for his own ends, no matter the cost to Will. Outside of this, there’s a terrifically emotional episode early in the season that revolves around Crawford discovering his wife has terminal cancer that absolutely heart-wrenching and contains one of Fishburne’s best performances in ages. The rest of the cast, holy smokes. First, you’ve got a recurring role from Gillian Anderson. Yes, Gillian Anderson of X-Files fame, who’s almost unrecognizable (at first) as a Brit-accented blonde. She’s a wonderful foil to Hannibal, portraying his sharp as a tac yet in-on his secret (maybe?) therapist. Scott Thompson of Kids in the Hall fame, has a nice little part as one of Crawford’s medical examiners. He gets in a few good one-liners and is quite able with his procedural jargon. 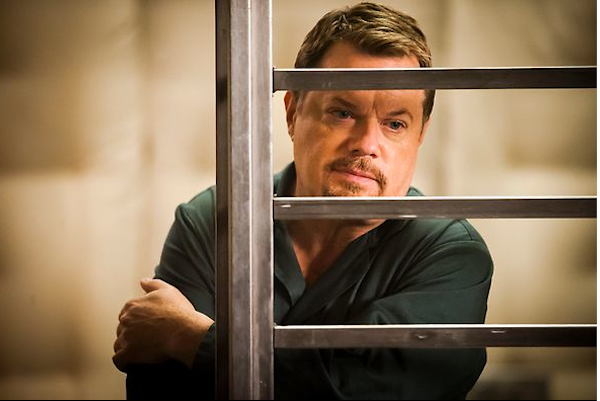 And even though he was a guest star, Eddie Izzard almost stole the series as the murderous Dr. Abel Gideon. His episodes are absolute must-watch. 4. Every Episode is a Movie: Bryan Fuller, the producer of the series, is known for visually striking, character-driven (and under-watched) shows like Wonderfalls and Dead Like Me. Here he employs that same principle commissioning brilliant scripts and employing an amazing slew of directors. Fuller chose Hannibal to be helmed by David Slade who is no stranger to the visceral (he directed 30 Days of Night), Michael Rymer (the producer and director of Battlestar Galactica) and Guillermo Navajaro, who has been Guillermo del Toro and Robert Rodriguez’s cinematographer. Fuller did an excellent job choosing the right visual directors for the series, thus giving the show a highly cinematic visual aesthetic. In addition, every episode of Hannibal worked as both a self-contained episode that had it’s own terrifying and exciting moments and as an episode that helped further of the greater, season-long storyline. This is important to make note of because even the best shows on television today (we’re looking at you Mad Men) have episodes that are just one-offs that go nowhere, with Hannibal, every episode mattered. And the season progressed each episode got creepier, scarier and more intense. 5. Even Though You Know the Outcome It Still Has You Guessing: We all know what happens to Hannibal Lechter — he goes to the jail for his crimes, meets Clarice Starling, escapes prison, eats brains and so on. But yet, this series keeps you on your toes. It makes you question everything you know about the lore and history of Hannibal Lechter. You question whether Hannibal is not as evil as he seems, maybe he’ll get away with his crimes, maybe Will Graham is a killer, maybe Jack Crawford is a master manipulator who’s setting Will up. This air of confusion just adds to the sense of suspense that permeates every second of Hannibal. Hannibal is available on Hulu. Click here to watch this amazing series.